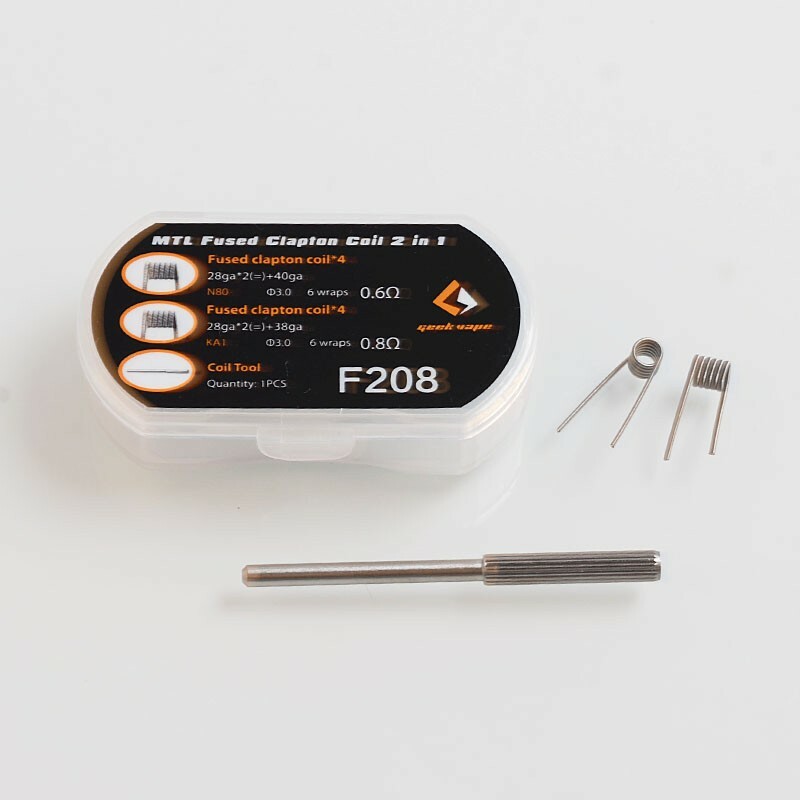 The Authentic GeekVape F208 MTL Fused Clapton Coil 2 in 1 Coil Kit comes with two types of Fused Clapton coils (N80 / KA1). 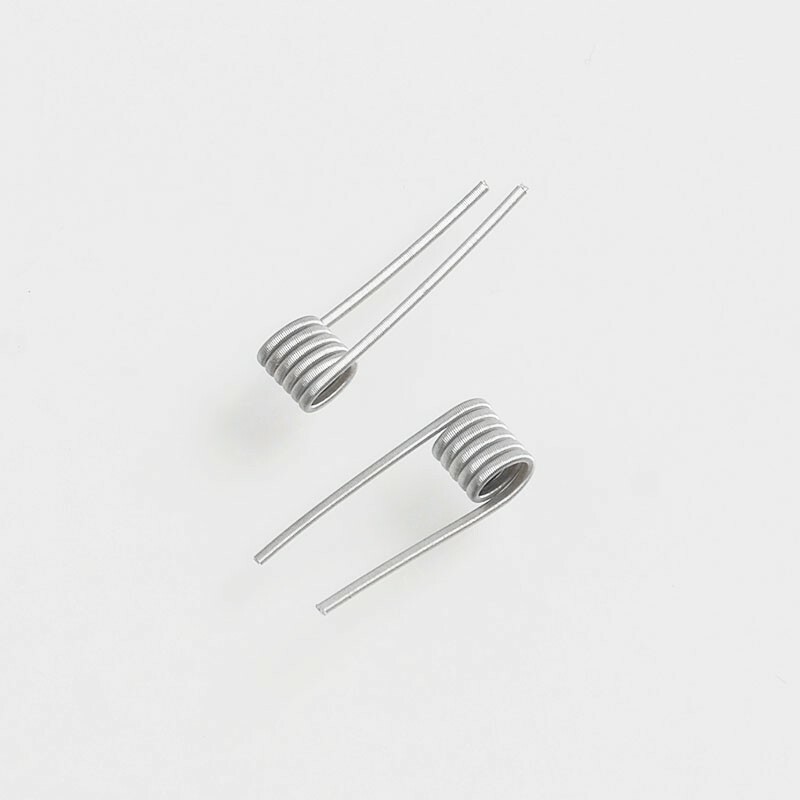 These pre-coiled heating wires come with 28GA x 2 (=) + 40GA 0.6 ohm coils, 28GA x 2 (=) + 38GA 0.8 ohm coils. These heating wires will be a good vaping choice for DIY. 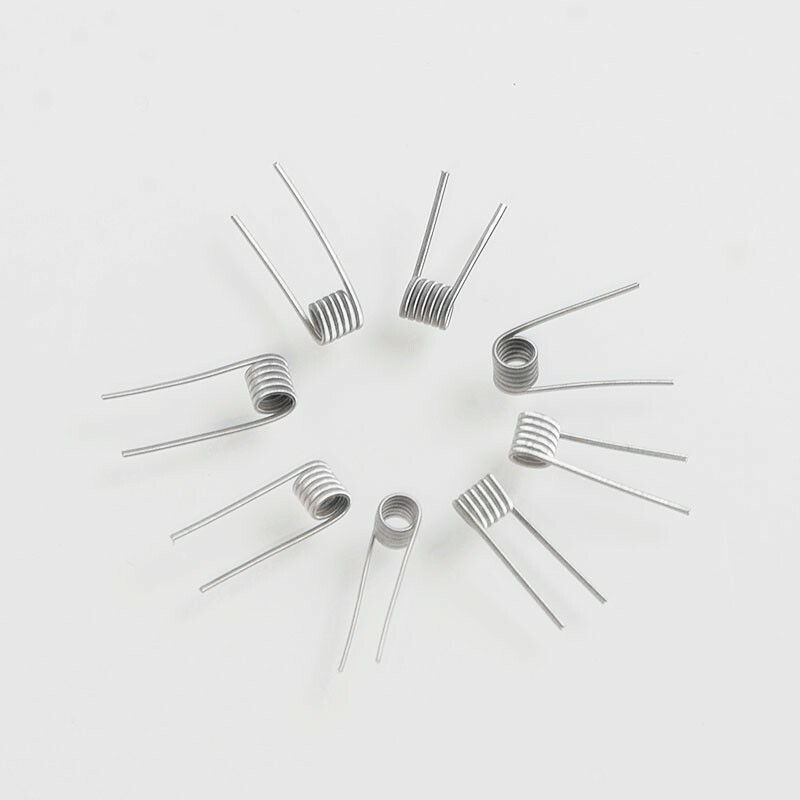 This product comes with 4 PCS for each type, totally 8 PCS in 1 pack.